1 Who is Gelila Assefa? 6 Do You Know How Rich Gelila Assefa Is? Gelila Assefa is an Ethiopian fashion designer and philanthropist, who is known as the founder of the Dream For Future Africa Foundation, which is dedicated to providing opportunity and equity for those most in need in Africa. However, Gelila is probably best known to the world as the wife of the famous Austrian-American chef Wolfgang Puck. Gelila was born in Addis Ababa in the early 1980s, and where she was raised and went to school. There is little information about Gelila’s childhood, except that her father was a businessman, and her mother a stewardess on Ethiopian Airlines – apparently chosen by Heile Selassie for her looks and communicative abilities. Gelila and Wolfgang met back in the late ‘90s when Gelila was studying fashion at Trade-Tech College, and following his divorce with his first wife, Barbara Lazaroff, with whom he was married from 1983 until 2003. Gradually their relationship grew, and after two years, Wolfgang proposed to Gelila, and the couple became engaged. Gelila and Wolfgang subsequently tied the knot on the 7th July 2007 on a hillside above the Grand Hotel Quisisana in Capri, Italy – the bride wore a J. Mendel gown and custom-designed Christian Louboutin shoes. Since the marriage, Gelila has become a step-mother to Wolfgang’s children from his previous marriage, while the two also welcomed children of their own, sons Oliver and Alexander Puck. There isn’t much information about Gelila’s career; she has her own handbag line and has also launched a couture gowns line. This has increased her wealth to the point where in recent years, she has become more focused on philanthropy. She has founded Dream For Future Africa Foundation, and she also serves on the board of the Ethiopian Children’s Fund. To speak further of her accomplishments, Gelila has been honored for her philanthropic work by Essence Magazine, BMW, and VERTU, and also received the 2009 Champion of Children Award from the Children’s Institute of Los Angeles, where she serves on the Board of Trustees. Do You Know How Rich Gelila Assefa Is? Assefa has become more focused on philanthropy than her career in the recent years, despite having an extremely successful clothing line. Nevertheless, have you ever wondered how rich Gelila Assefa is, as of mid- 2018? Sources estimate that her net worth is over $5 million, however, we can tell you that Wolfgang Puck’s net worth is as high as $75 million. 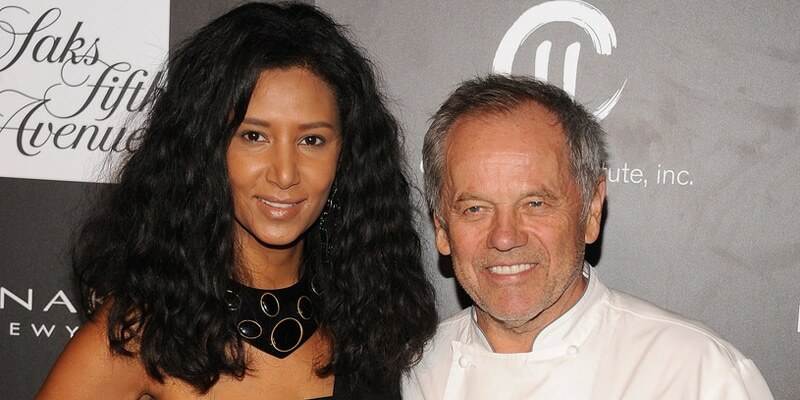 Now that we have covered all major details about Gelila, let’s share a few details about her husband, Wolfgang Puck. Born Wolfgang Johannes Topfschnig on the 8th July 1949 in Sankt Veit an der Glan, Carinthia, Austria, he is a celebrity chef, restaurateur and occasional actor. Wolfgang’s mother remarried to Josef Puck and young Wolfgang was adopted and received his adoptive father’s surname. He learned to cook from his mother, who sometimes worked as a pastry chef. Wolfgang first served under Raymond Thuilier at L’Oustau de Baumanière in Les Baux-de-Provence, at L’Hôtel de Paris in Monaco, and at Maxim’s. Paris before moving to the US in 1973 at age of 24. He gradually developed his skills and knowledge and moved to Los Angeles, where he became part owner and chef at Ma Maison restaurant. Since then, Wolfgang has become one of the most prominent restaurant owners, with locations across the US. Furthermore, he has published a number of cookbooks, such as “Modern French Cooking for the American Kitchen” (1980), then “Adventures in the Kitchen with Wolfgang Puck” (1991), and “Wolfgang Puck Makes it Easy” in 2004. The family are still resident in Los Angeles.